Scientists predict that climate change is going to make Earth’s oceans more acidic, and that’s a problem for one important microorganism and all the species that depend on it to do its job. 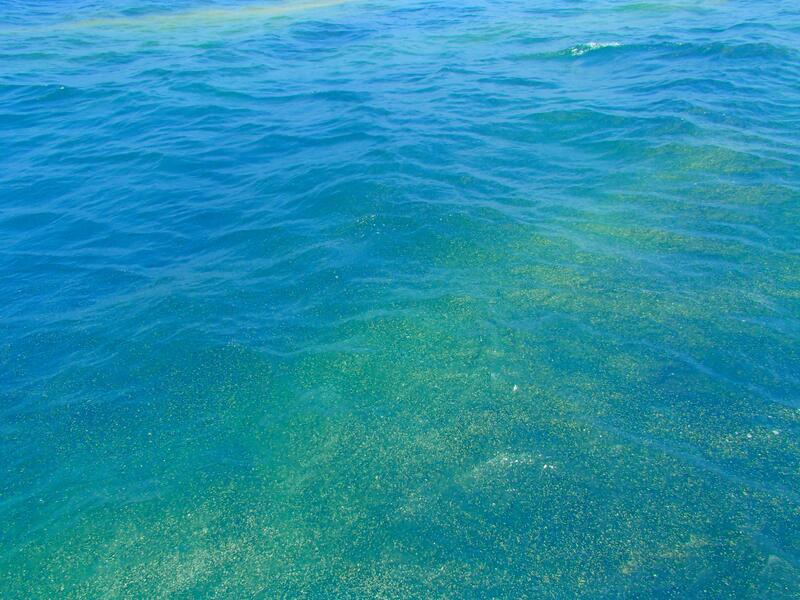 Trichodesmium is a type of cyanobacteria that does something called nitrogen fixation — it uses nitrogen gas to make ammonia and other byproducts that certain marine life rely on to survive. In that respect, the health of Trichodesmium algae, also known as sea sawdust because of its appearance, is necessary for the ocean ecosystem to function properly, with the health of hundreds at species hanging in the balance. But according to a study in the journal Science, climate change is putting it at risk. The researchers, from Florida State University, Princeton University and China’s Xiamen University, say rising carbon dioxide levels around the globe will make our seawater more acidic, and if that happens the Trichodesmium, which is responsible for a large percentage of the oceans’ nitrogen fixation and is especially important in tropical and subtropical areas, will become less productive. Although carbon dioxide has been known to “sometimes stimulate nitrogen fixation,” Florida State said, the negative and “major ripple effect on marine ecosystems” outweighed any potential benefit. If Earth’s oceans become more acidic, they will be returning to what they were like many years ago, as early life was forming and evolving on this planet. Scientists have argued that a few billion years ago, the ocean pH level — a measure of acidity or alkalinity that goes between 0 and 14 — was between a 6.5 and a 7. That’s compared to today’s pH value of 8 in the salty ocean. It doesn’t sound like a lot, but it’s the difference between swimming in urine, saliva or milk, all of which have a pH of 6, or swimming in pure water, which rests at the neutral pH level 7, the balanced point between acids and bases. What changed in the past to make our oceans less acidic was the sun getting brighter and the amount of carbon dioxide in the air decreasing, that previous research said. But it happened over the course of millions of years, with only gradual changes, so life was able to adapt slowly. The predicted acidification of the oceans resulting from climate change today would happen at a much more rapid pace.